During the planning phases of the BNA Vision projects, the Metropolitan Nashville Airport Authority (MNAA) recognized the need to update their Interim-International Arrivals Building. These updates would allow Customs and Border Protection (CBP) to process more international arrival passengers at quicker rate as well as streamlining the passenger’s journey through the airport. 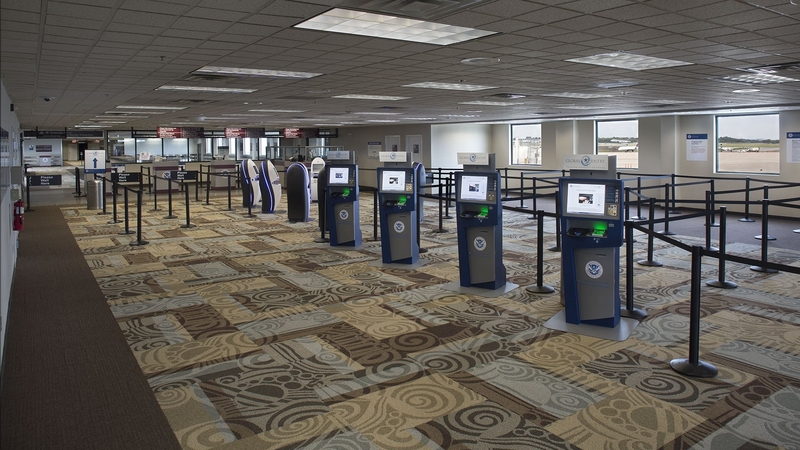 The renovation includes a more spacious queuing area for inbound passengers, the addition of six Automated Passport Control machines, four Global Entry Machines and a Mobile Passport Control processing booth. The renovation also allows for international arrival passengers to exit directly on to the baggage and transportation levels of the airport for ease of access to ground transportation. Direct access from Customs to Baggage/Transportation level of the airport.